– US 1980 marathon Olympic team member Benji Durden, talking about the depth of U.S. men’s distance running in the late 1970s and 1980s. 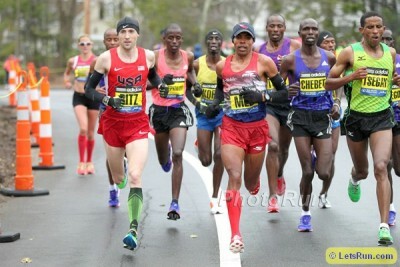 At the 1983 Boston Marathon, Durden ran 2:09:57 and was only 3rd, finishing behind two Americans. 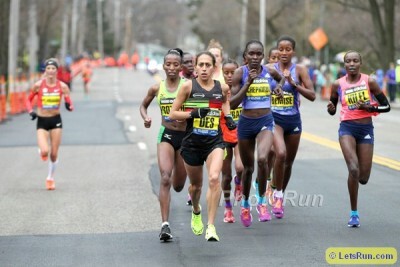 If you could KNOW whether or not one runner doped/dopes, who would you pick? First 800 in my career, advice? Predictions? Shaun White had his own personal half-pipe. Do any runners own their own track? Do fish feel pain when hooked in the mouth? What a week it was with London, Boston, Drake and Penn. 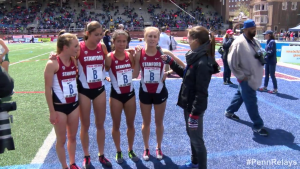 Annie LeBlanc kept rolling at Penn, we’ve got an excuse for Zersenay Tadese, we tell you why so many of you hate sit and kick races, talk Larry the Legend‘s underwater treadmill, masters doping and more. 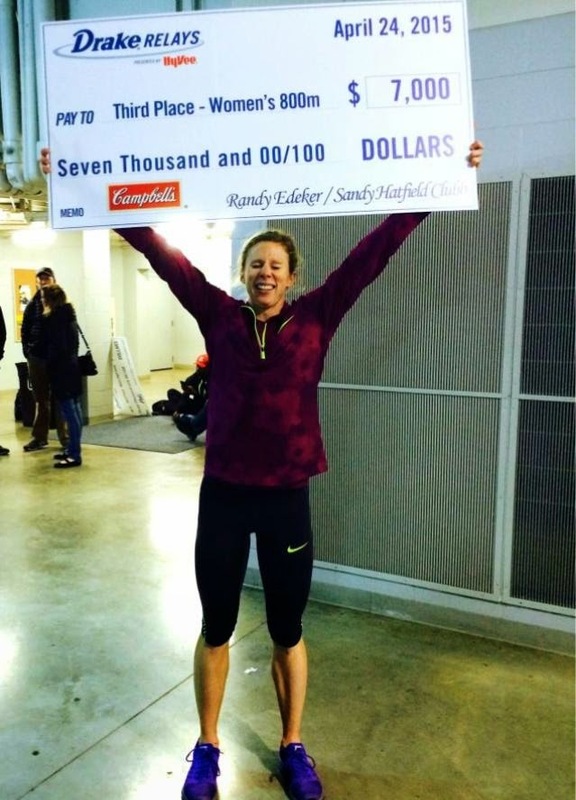 Phoebe Wright Blogs About A Solid Third Place Finish In The Drake Relays 800 Wright has struggled in recent years and said she “forgot what it feels like to run well.” Here, her 2:01.65 time wasn’t super fast, but she got a lot of scalps and won a big (both in size and amount) check. Running Times Q&A With Leah O’Connor, Who Says “I’m Just Now Falling In Love With Running” O’Connor talks about how she got her start in running, making big improvements and becoming a steepler, and goals for this year including making Worlds. Good Read: Kyle Merber Blogs About Training In Flagstaff This Winter Reads more like a story than a blog. 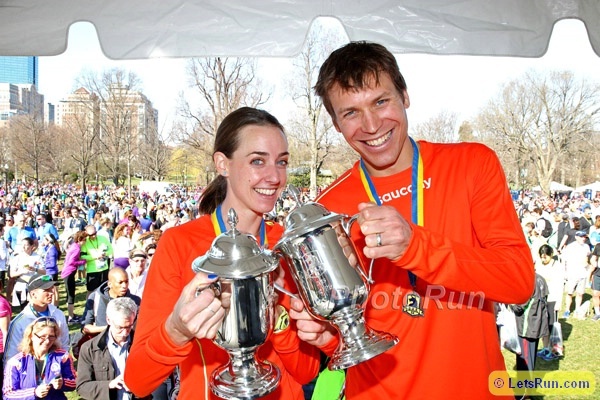 Extensive Gary Cohen Q&A With US 1980 Olympic Marathon Team Member (The Year We Boycotted) Benji Durden Benji talks about finishing 3rd in 2:09:57 at the 1983 Boston Marathon behind 2 Americans, the 1980 Olympic boycott and more. Carl Lewis’s Son Graduates From Basic Combat Training Apparently he struggled with the physical training when it came to pushups/situps, but then blew everyone away in the run (he did 2 miles in under 13 minutes). 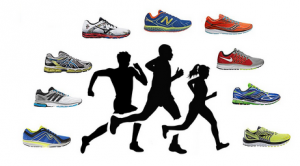 Former Top Jamaican 400 Runners Fear Lack Of Training Knowledge Is Hurting The Future Of Top High Schoolers Former Jamaican Olympians say that coaches overtrain their 400m runners. Jamaican Columnist Proclaims Sherone Simpson Is “Back” After Dealing With Career Of “Adversity” Two weeks ago she pushed Shelly-Ann Fraser-Pryce in the 200, finishing only .01 behind. 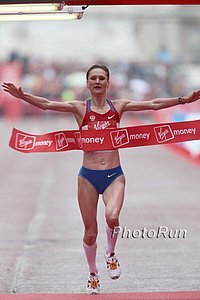 The Telegraph: “Why The Best Sports Stars Struggle To Retire” We’re glad Paula Radcliffe got to go out with one last run. Despite Fall, Annie Bersagel Wins Dusseldorf Marathon In New PR Of 2:28:29 Marius Ionescu of Romania won the men’s race in 2:13:19. 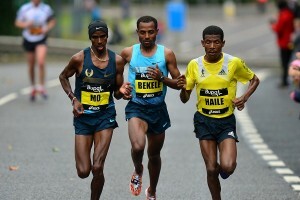 Ethiopia’s Hayle Lemi Berhanu Takes Warsaw Marathon In 2:07:57 As Top 6 Finish Within 32 Seconds Of Each Other Ethiopian Fatuma Sado won the women’s race in 2:26:25. Saturday: LRC Leo Manzano Turns The Tables On Matthew Centrowitz, Wins Men’s Mile At Drake AJ Acosta was third. IAAF: Jasmin Stowers Highlights Non-Distance Action With 12.40 100H Win Over Dawn Harper Nelson PV WR holder Renaud Lavillenie only finished 3rd as Sam Kendricks and Shawn Barber tied for 1st. 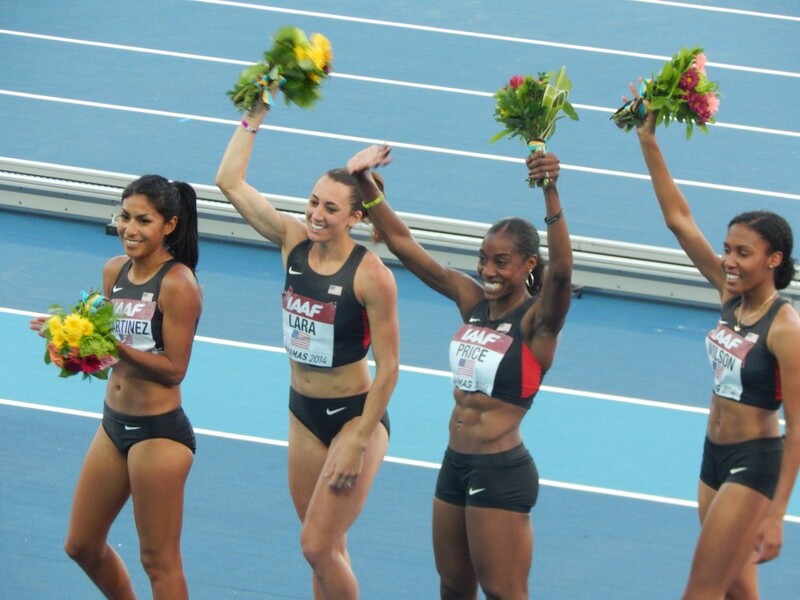 Francena McCorory ran a 50.13 WL 400, ahead of Sanya Richards-Ross by almost a full second. Will Claye got a WL in the TJ. Feature On Anthony Rotich’s Quest For 3rd Straight NCAA Crown He’d be only the 3rd man in history to win 3 straight. He wants to open at sub-8:30 next week at Stanford. 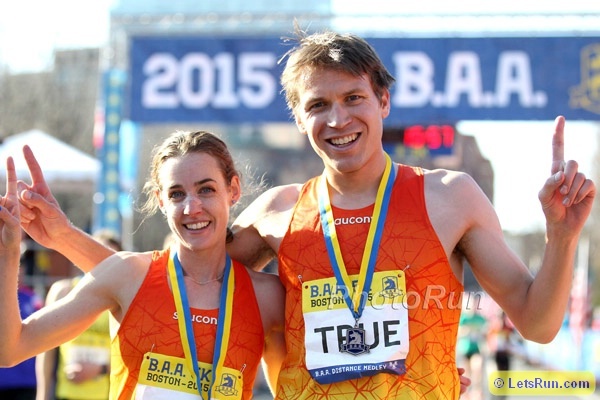 2015 IAAF World Relays Are Sat./Sun. LRCMen’s 4 X 800: Can The U.S. (Or Poland) Upset Favored Kenya? 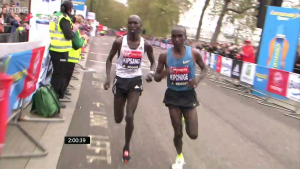 Can Team USA upset Team Kenya, which nearly coughed up a huge lead last year? If you were the Team USA coach, who would you anchor? Robby Andrews or Duane Solomon? Tufa surprised last year, but can she rebound from a heavy 2015 workload? 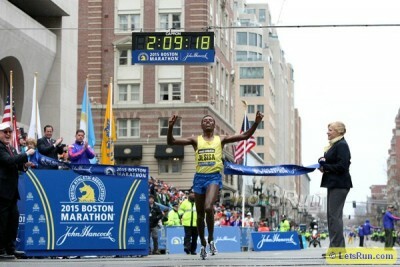 Can Rotich repeat in Boston? Will either of these two be leaving Rio with a medal in 2016? Liliya Shobukhova Doping Hearing Cancelled By CAS The IAAF was appealing to make her 2-year ban a 4-year ban, but reports are saying that the IAAF and Russian athletics federation reached an out-of-court settlement. St. Kitts And Nevis Names World Relays Squad Former world champ Kim Collins was offered a spot on the team, but turned it down. 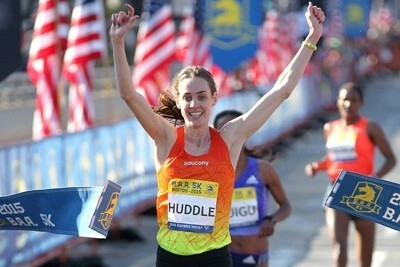 Interesting Look At The Difference In Training Between Sprint- And Endurance-Based 800 Runners Includes quotes and example workouts from Phoebe Wright (sprint/speed) and Heather Kampf (endurance/strength). 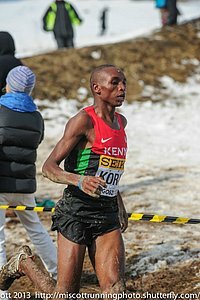 Running Form Analysis Of The Elites At The Boston Marathon Could have some small arm swing changes have changed the outcome of the race? IAAF Personal Bests Q&A With TJ World Champ Caterine Ibarguen In this interview series, she’s probably the 100th athlete to name “herself” for the question about her “greatest rival.” However, in this case we think it was the right answer since she hasn’t been beaten since 2012. 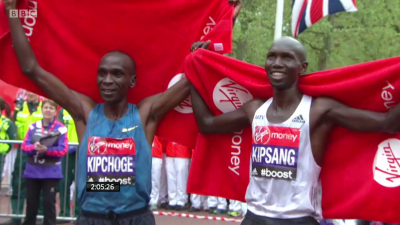 Men LRC London Lives Up To The Hype As Eliud Kipchoge Takes Down Wilson Kipsang In Final Mile To Win In 2:04:42 (updated with QTs) This one was packed with drama as with 5 miles to go, it was down to the Big Three of Kipchoge, Kipsang and WR holder Dennis Kimetto plus ’14 runner-up Stanley Biwott. 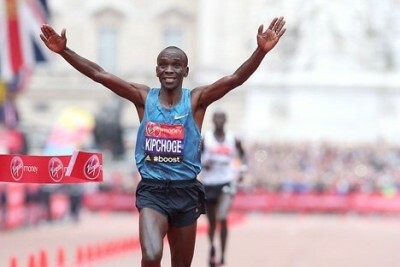 After a 4:33 25th mile, it was Kipchoge vs. Kipsang and after a 4:33 26th mile, Kipchoge was the winner – Kipsang finally breaking with 800 to go. 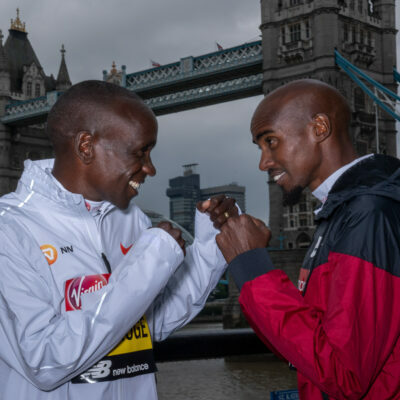 Did Eliud Kipchoge beat the best 5k field ever in 2003 Paris and best marathon field ever in 2015 London? 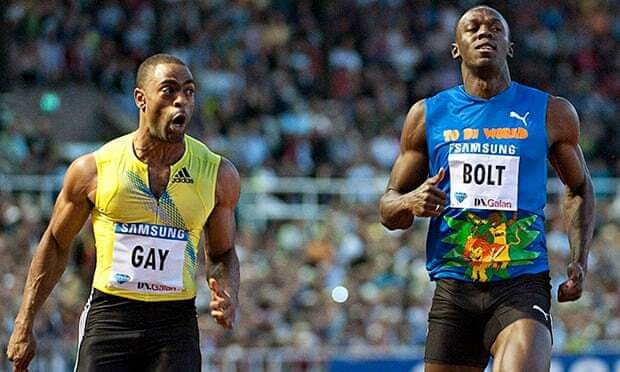 Justin Gatlin Says Tyson Gay Deserves Second Chance After Doping Ban “Everyone should give a second chance, but everyone is also entitled to their opinion.” Gatlin also has some good quotes about retirement/getting the most out of his career. Dude, Where’s My Car? Man Running Manchester Marathon Forgets Where He Parked And Doesn’t Find His Car For 9 Days A stranger actually found it for him after it appeared on the local news. Epic Fail: Race Official At Glass City Marathon In Toledo Sends Race Leader The Wrong Way, Costing Her An Olympic Trials Qualifying Mark Samantha Bluske still won in 2:47:20, but ran about an extra mile, thereby missing the 2:43 standard. Bravo: Local Restaurant Tries To Help Save UNCW Track Team Even before the restaurant fundraiser, the team had saved $150,000 of their $250,000 goal. 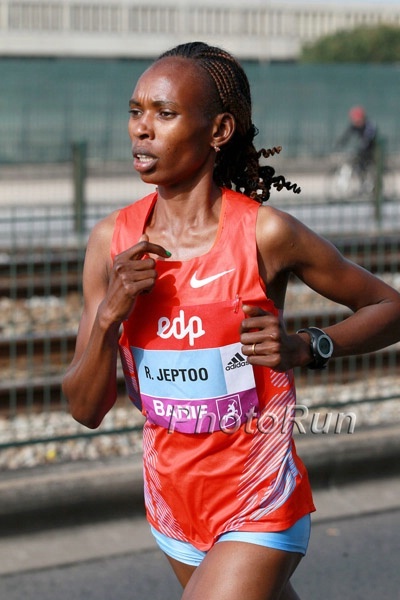 On The Roads: Former World XC Champ Japhet Korir Wins 10K In Würzburg In 27:47 While Caroline Chepkemoi Wins Women’s Race In 32:36 James Rungara wins half in Nice, France in 60:12; Ednah Kimaiko wins women’s race in 70:45. 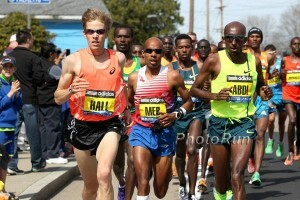 Elisha Barno Wins Kentucky Derby Festival Half Marathon In 1:01:44 Pius Nyantika was 2nd in 1:01:46. 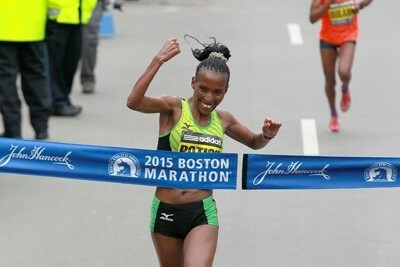 Askale Merachi won the women’s race (72:08) while HS pro Alana Hadley ran for 3rd (1:18:43). 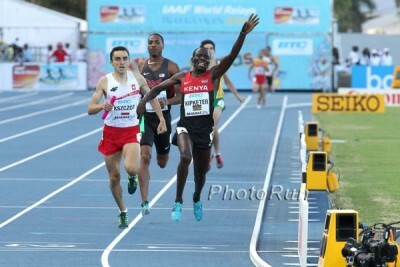 IAAF Recap: Kenya And South Africa Impress At African Youth Championships The 3,000 titles were taken by (a different) Emily Chebet (9:10) and Davies Kiplangat (7:56). USTFCCCA: Clarification On Demi Payne’s Collegiate Pole Vault Record Long story short, it counts even though it broke some random rules. 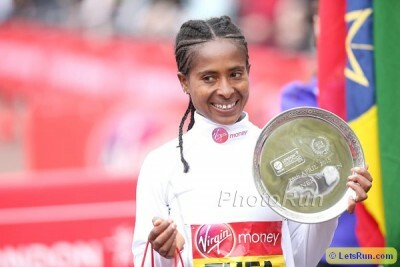 Women LRC Forget About Kenyan “Fantastic Four;” Ethiopia And Tigist Tufa Reign Supreme In London The “Fantastic Four” and “Fabulous Five” got all the pre-race love but Tufa, a 25-1 longshot, was patient this time and got the win over Mary Keitany in 2:23:22. 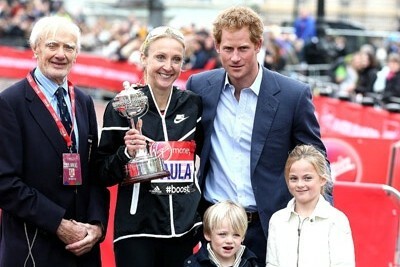 Paula Radcliffe Has Emotional Goodbye To Competive Running Video of Paula’s finish, interview with her, and article. Recommended read/watch. MB: This 2015 Payton Jordan Entry List IS STACKED!! 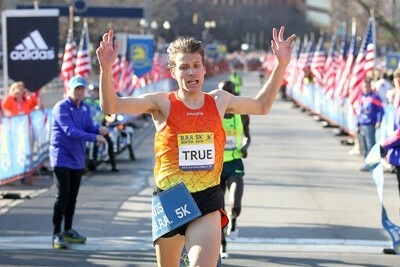 Rupp in the 5k!! Irish Opinion Piece: Martin Fagan Has Served His Time, But Rio Appearance Would Insult Clean Athletes Fagan recently ran a 2:16:09 marathon in Zurich and so far is the only Irishman with the Olympic standard. Having him on the line in 2016 doesn’t sit well with this author, though. 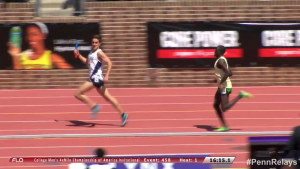 Saturday: LRC Villanova’s Jordan Williamsz Takes Down Oregon’s Edward Cheserek In Riveting But Bizarre Men’s 4 X Mile At 2015 Penn Relays The opening legs were hot. 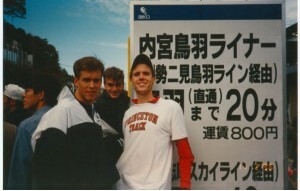 The Penn Relays record was within striking distance. 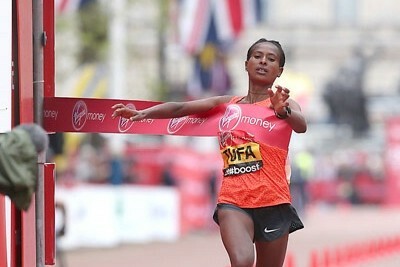 A 3:55 would equal a sub-16. The winning time was 16:18. We tell you what happened. 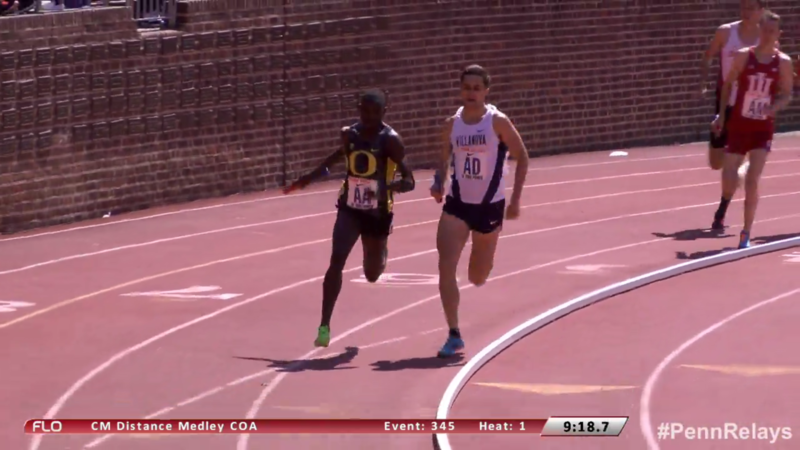 Friday: LRC Villanova’s Jordan Williamsz Made Him Work For It, But In The End, Oregon And Edward Cheserek Win The Men’s DMR Williamsz got the stick one second down but only ran .50 faster than King Ches. 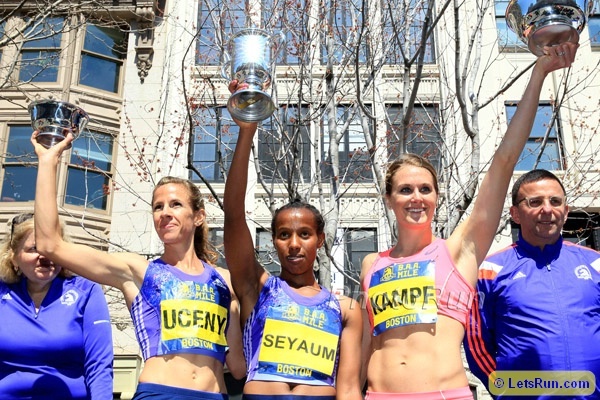 Racism Accusations Force Stockholm Marathon Prize Money U-Turn Meanwhile, American races often offer “American only” prize money all the time. 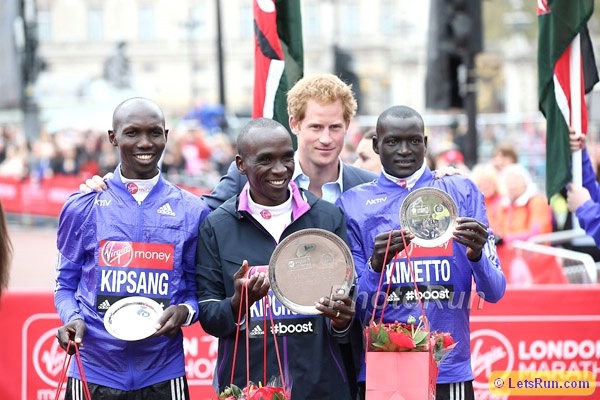 *MB: Stockholm Marathon will not give prize money to an east african if they win the race. Recommended Read: Fascinating Talk With The Woman Who Invented The Jogbra 38 Years Ago The prototype was two jockstraps sewn together. The Jockbra soon became the Jogbra. *MB: Jogbra was invented 38 years ago, what the hell did women do before then?